Huawei, right off the back of its Mate 10 Pro success appears to be working on a Mate 20 Pro that comes with AirPod like earphones, dubbed Freepods. These charge via a case which apparently can also charge the phone itself. Apple has struggled with its wireless charging offerings despite plans to push this further. The AirPower mat that can charge multiple Apple gadgets at once has still not arrived. Huawei is moving fast to fill that empty space with tech that genuinely enhances the phone experience thanks to wireless charging. 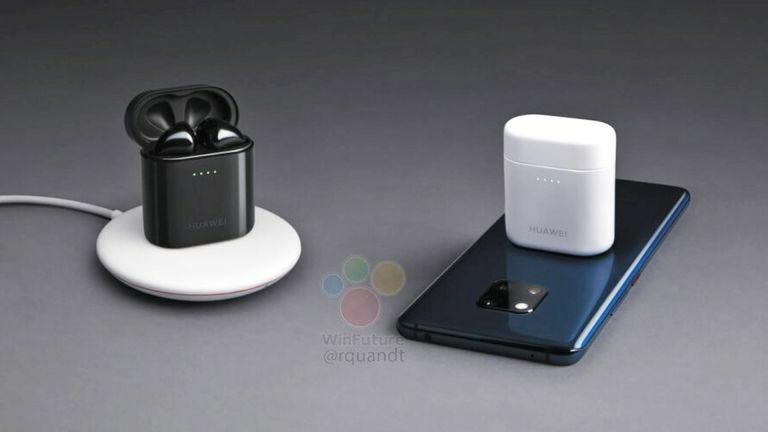 The Freepods and their charging case, which can wirelessly charge the Mate 20 and Mate 20 Pro, has leaked via WinFuture. Since this case uses the Qi charging platform it makes sense that this case would also be able to charge an iPhone XS or Samsung Galaxy S9. The leak suggests the Freepods themselves will be able to work with Google Assistant and should arrive as soon as October 16 at an official launch event.